At Gorlick, Kravitz & Listhaus, our lawyers counsel not-for-profit organizations, providing assistance with drafting and filing articles of incorporation, corporate by-laws, and registration to solicit funds. We advise on tax-related laws affecting nonprofits. Our attorneys manage all the legal requirements under the IRS code 501(c)(3) for trusts, foundations, and corporations. In New York, the Charities Bureau is under the New York State Attorney General's Office. Certain not-for-profit organizations are required to register with the Charities Bureau. According to the bureau's registry, an estimated 50,000 nonprofit entities are registered under applicable New York laws that regulate charitable operations and solicitation of contributions. In addition to IRS filing, our lawyers assist nonprofits with New York charity registration. Regulated by different laws and than for-profit entities, not-for-profits face different challenges that require legal expertise. 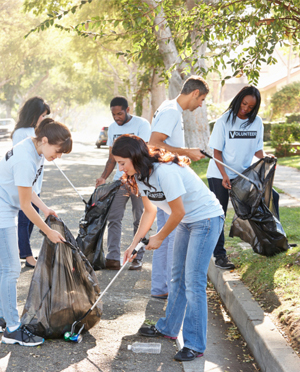 Our lawyers have extensive experience with nonprofits. We advise clients on board issues, reorganization, and charitable giving, along with providing appropriate legal remedies to resolve disputes. For consultation involving non-profits and CIRS, call 212-269-2500 or contact our New York lawyers online.